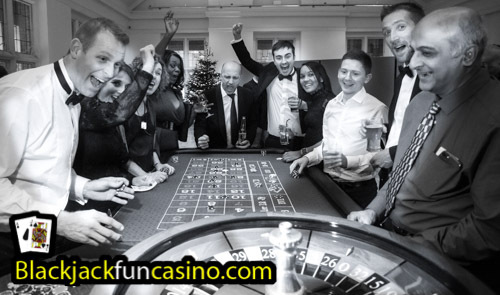 Fun Casino Hire is the perfect entertainment at any party, casino tables encourage people to mingle and gives those that don’t dance some entertainment for the evening. 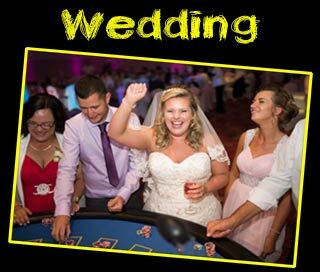 Our friendly croupiers will ensure your guests have a whale of a time at the Party Casino by creating a non ‘casino intimidating’ atmosphere. 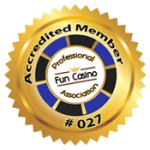 All our professionally trained croupiers are hand picked for their friendly bubbly personalities. 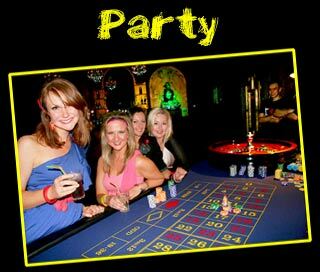 At your party casino we are happy for the Birthday Boy or Girl to spin the ball on the Roulette table and let people try their hand at shuffling the cards on Blackjack. 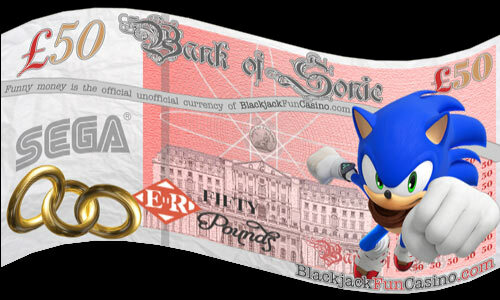 Don’t know how to play the casino games? 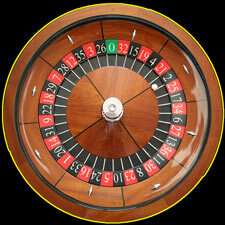 Not a problem, we are happy to explain the casino games to any guest that wants to know how to play. 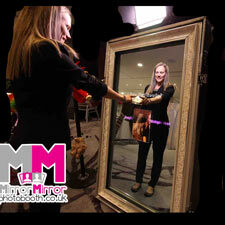 Ensure your party has the wow factor and Hire a Mobile Casino for your party! 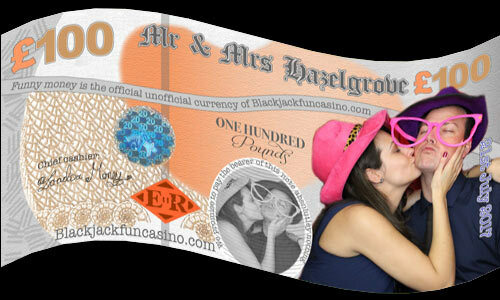 We are a Mobile Fun Casino business offering Fun Casino Hire at Corporate Events. 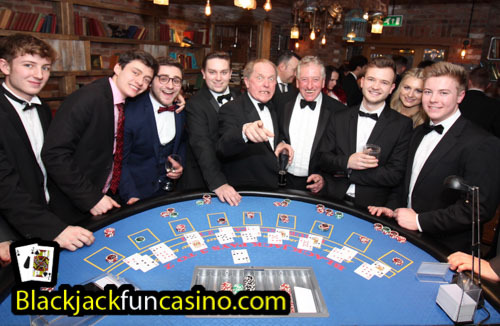 We can provide many different fun casino hire packages to meet and exceed your needs. 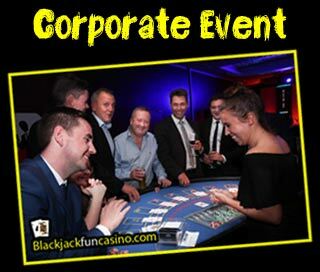 Our corporate fun casino service is versatile and can be used in many different ways from team building Blackjack tournaments to entertaining important clientele. 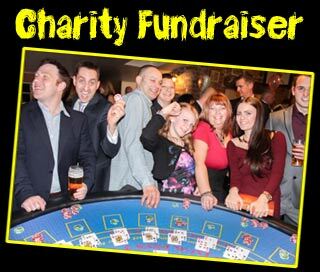 Corporate Casino hire builds an atmosphere instantly with our professional & friendly croupiers. It’s a fantastic ice breaker, encouraging guests to converse, mingle and get to know each other. 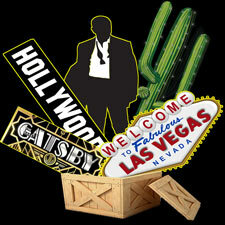 Casino tables will add an exclusive touch to any corporate event. 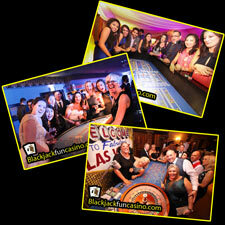 Fun Casino entertainment at your birthday party? 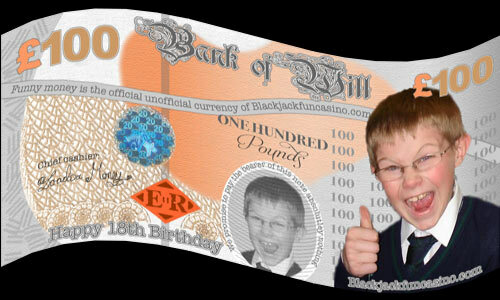 Add to the fun by including an old school photo on your fun money! A nice crisp £100 note with your faces on?